High load capacity (2×30 kg) enabling transport for E-bikes/Pedelecs. Adjustable pump buckles with extra-long wheel straps for easy fastening of wheels (up to 5? wheels) enabling transport of fat bikes. 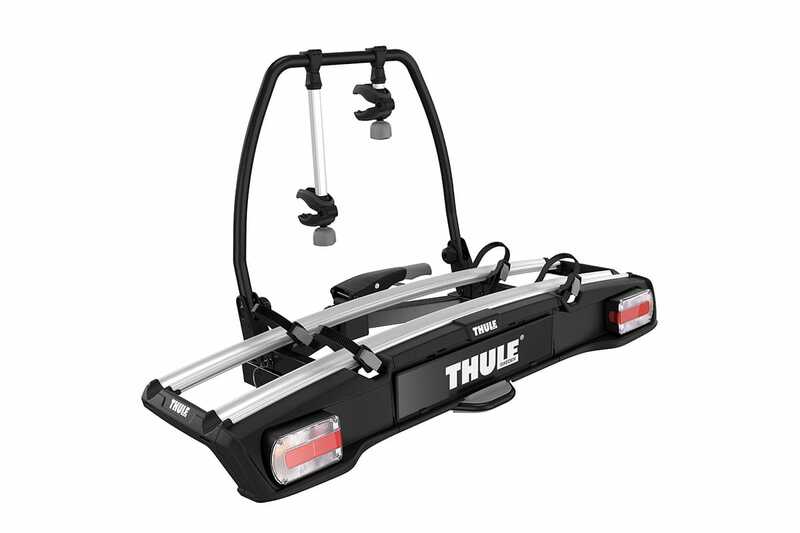 Optional BackSpace luggage box available (Thule BackSpace 9171). Optional Loading Ramp available (BA 9172).